Filquip supplies Concrete Reclaimers and Aggregate Separators to separate sand, aggregate and wash water from returned concrete trucks. 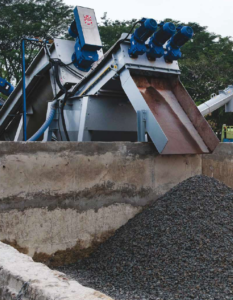 The WAM CONSEP concrete reclaimers and aggregate separators are used for the recovery of sand, aggregate and wash water from concrete trucks, mixers and pumps. Up to 20m³ / hr of diluted concrete can be reclaimed per unit. Separation of solid fines down to 0.15mm. Available in T Shape, L Shape and H Shape configurations to accommodate use by up to 4 trucks at once. 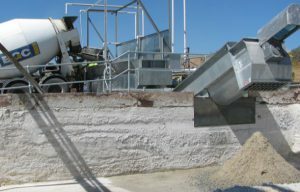 Additional classifier available to further segregate reclaimed solids by size into sands and aggregates. 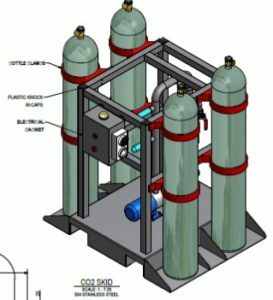 The CO2 PH neutralisation skid use a sparging system to neutralise high alkali (High PH) waters contaminated with Calcium Hydroxide from cement and concrete processes. Neutralisation of water from up to PH 13 down to between 6.5 – 7.5. 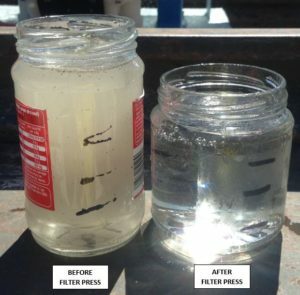 Allows reuse of high alkali water from the concrete batching processes. Creates a self-buffering reaction (PH cannot drop below 6.5). Requires no handling of hazardous liquids. 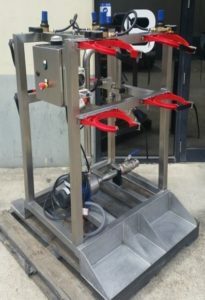 Filquip is a supplier of filter press systems including manual, semi-automatic and automatic operation models. 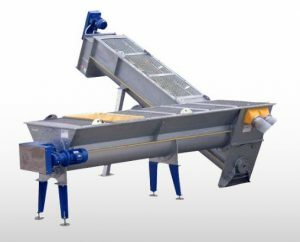 The filter press allows solids/liquids seperation of suspended fines with recovery of the solids product in the form of pressed cake plates. Pressing force up to 20MPa to avoid leakage. Up to 120m2 of filter area. Filquip is a supplier of filter press cloths in many varieties and sizes.